—Photo courtesy of Nick Popaditch, 2015. (Image used with permission). Nick "Gunny Pop" Popaditch is a living Marine Corps legend who was awarded the Purple Heart and Silver Star for gallantry in Iraq in 2004. He also gained fame as "The Cigar Marine" after appearing in an AP photograph by photographer Laurent Rebours with a cigar in his mouth and a statue of Saddam Hussein in the background as his (Popaditch's) unit helped topple the statue in Firdos Square, Baghdad, Iraq on April 9, 2003. The image appeared on the front page of newspapers around the world. Since being medically retired from the Corps in 2005, Popaditch has served as an advocate for veteran's issues and has published two books—The Utimate Marine Recruit Training Guidebook and Once a Marine: An Iraq War Tank Commander's Inspirational Memoir of Combat, Courage, and Recovery. 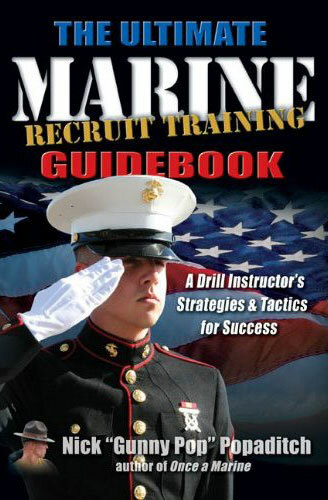 The Utimate Marine Recruit Training Guidebook is a comprehensive, practical, and easy-to-follow guide written specifically for new or prospective recruits about to enter Marine recruit training. 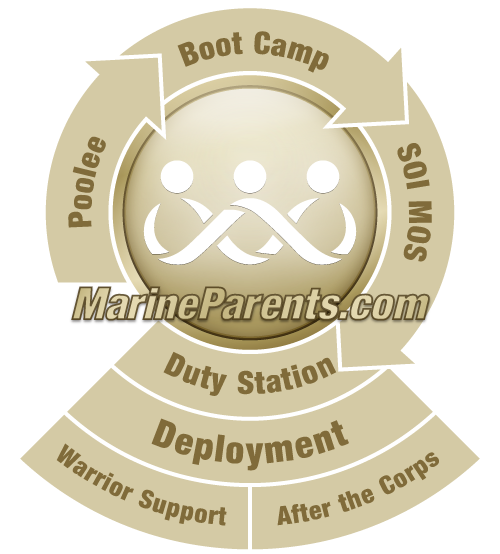 Gunny Pop offers step-by-step instructions and solutions, including helpful charts and graphics, on how to prepare both physically and mentally for recruit training. Having personally experienced this many times over, Gunny Pop explores what recruits will be asked to do (and in many cases, explain why) and the motivating forces behind drill instructor lessons and behavior. 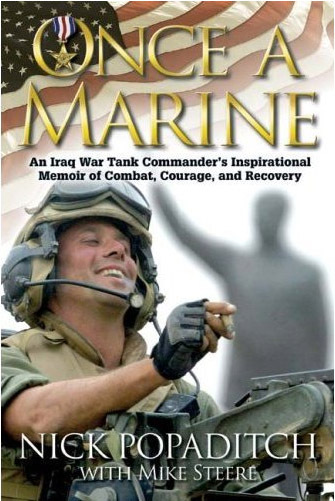 Once a Marine: An Iraq War Tank Commander's Inspirational Memoir of Combat, Courage, and Recovery documents Popaditch's time and experiences in the Corps, from arriving at MCRD San Diego in 1986 to his time in the first Gulf War to his time in Iraq following the 2003 invasion. This book also looks at Popaditch's post-Corps life, from battling for recognition and compensation for his permanent disabilities while fighting to maintain his honor and loyalty, as well as providing a behind-the-scenes tale of the day-to-day life of a career Marine noncommissioned staff officer. We strongly encourage prospective recruits and recruit families to consider reading these books to gain a further insight of what to expect not only during recruit training, but to also gain a sense of what to expect during the Marine Corps career.